Miniature Folded Instruction Sheet - Flottman Company. Our customer needed to include instructions in multiple languages with their dental impression trays. 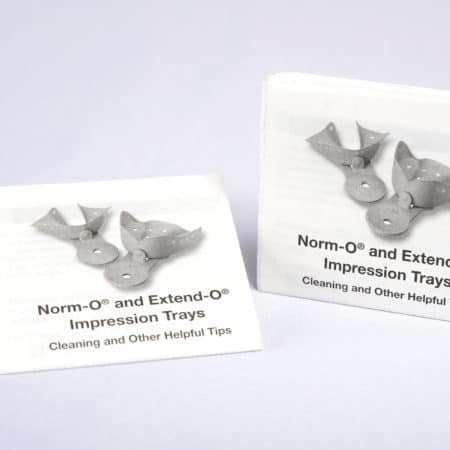 Create a miniature folded instruction sheet package insert to provide more space for copy. The 15″ x 11″ flat sheet includes the instructions and tips in all necessary languages, and its 2.75″ by 3″ folded size fits in well with the product packaging. Miniature folding is the perfect solution for copy-space issues, especially when it comes to packaging. This customer needed to include detailed information about cleaning, sterilization, preparation and storage of their products. This is a lot of information in itself, but they also needed to include these instructions in multiple languages. They chose to use a miniature folded instruction sheet to allow them to create one informational insert with all necessary languages that could be included with their products no matter where they were sent. This insert, printed in black ink on both sides, has a flat size of 15″ by 11″, providing plenty of space for instructions in all nine languages that needed to be included. By containing each language to the columns created by the folds, our customer ensures that the information is well-organized, making it simple for consumers to find their preferred language. The extra space allows for uncramped text, making the information easy to read. The folded size of 2.75″ by 3″ fits in conveniently with the product packaging. Many companies are turning to miniature folding as a solution for sharing product instructions with their customers. 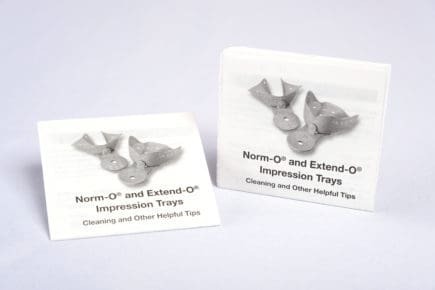 Miniature folded instruction sheets allow more room on packaging for other information and images, while not forcing companies to compromise on what information they include with their products. Want to find out more about how miniature folding can help you? Request a quote today!